A Las Vegas resort, luxury hotel and casino famed for its elegance, Bellagio was built in the mid-90’s on the site of the former Dunes hotel and casino. One of its most popular attractions is an 8-acre lake that features the Fountains of Bellagio, a large dancing water fountain synchronized to music. Inside Bellagio, the main tower of the resort boasts 36 floors and 3,015 guest rooms while the Spa Tower includes 33 floors with 935 guest rooms. With a planned opening in1998, bids for this large-scale construction project were solicited during the early history of Warm Springs Composite Products. Since projects of this scale are normally reserved for much larger, more established suppliers, Warm Springs Composite Products had to prove it could compete with the more established manufacturers. Warm Springs Composite Products would have to work hard to secure the support of the selected OEM manufacturer in order to begin a track record of delivering exceptional materials and service. Warm Springs Composite Products was tested, certified and ultimately chosen as one of the major contributing suppliers for this significant construction project. The exceptional materials, along with the outstanding service and support Warm Springs Composite Products brought to the project as a young start up company is a reflection of dedication to excellence we continue to deliver as a trusted, established supplier. 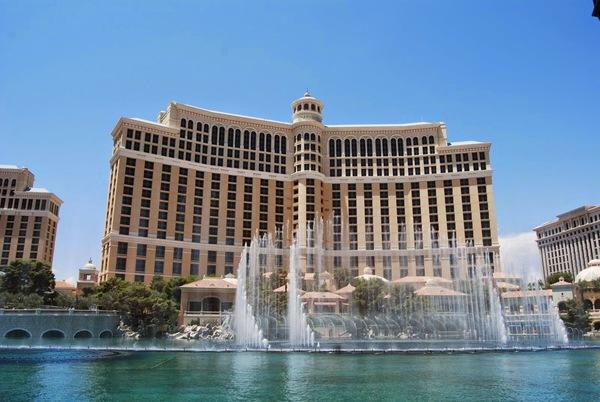 This “proving ground” project helped demonstrate that Warm Springs Composite Products could deliver on-time, with quality fire rated components for any large building project like the Bellagio.